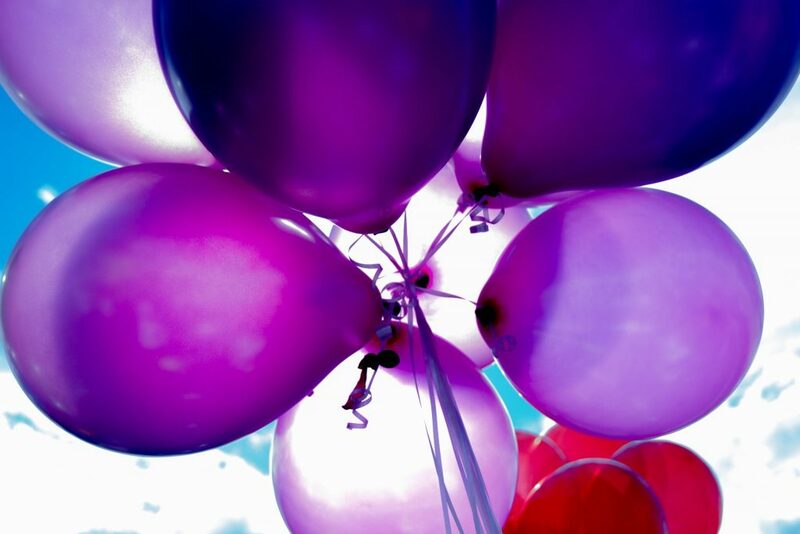 How Could You Celebrate the Outcomes You Seek? Things that are acknowledged tend to repeat. People crave feedback. They want to know they are seen or heard. They want to feel their opinions count and that, if they do well, someone will acknowledge them for it. If you praise a behavior, people will seek to repeat it. However, if you criticize an act, you will tend to build resentment. Not fair, is it? Besides, some things need to be corrected or stopped. So, what’s a leader to do? How about building some celebrations into your plan? I recently participated in a big awards ceremony in Hollywood where more than 60 people received trophies for their work and were interviewed on camera on the “red carpet.” It was elegant and fun, and it felt really important. Families and friends were there to add to the joy and preserve every moment on their smartphones. The recipients definitely left that event with a strong desire to “do it again” and earn yet another celebration. In martial arts training, there are belts – white, red, black, etc. – to acknowledge each level of skill improvement. In Toastmasters International, there is a celebration of sorts at every level of advancement in public speaking. In Scouting there are merit badges. People are motivated to earn the next certificate, badge, patch, or pin. This is not trivial. It is symbolic and meaningful. And…it works! How can you use this concept to stimulate higher performance, deeper learning, better discipline, and personal initiative? I say, structure your awards and celebrations around the outcomes you want and the behaviors that lead to those outcomes. Don’t reward meaningless actions; wait till someone does something that has been proven to produce the results you’re seeking. Then celebrate that! You don’t wait to praise your infant only after they can walk and run. You celebrate every attempt to stand or walk – at least at first. But, once they can navigate on two feet, you shift your praise to the next level of skill development. The same should be true in sales training. At first, you can celebrate learning the sales presentation, knowing the products well, or making enough new calls on good prospects. Then, as folks progress, you can celebrate improved call-to-interview ratios, presentations-to-purchases percentages, and innovative sales techniques that pay off. The key is to first list the outcomes you want; then, find appropriate ways to acknowledge, reward, or celebrate each new step. Be wary of celebrating too early. Our office once had a big bell that could be rung with every new sale. One day an agent rang the bell and three of us nearby came out to praise the salesperson. But we learned the application didn’t have a check to go with it. The sale was probable, but it was not official. We then withdrew our praise and almost scolded the agent for premature bell-ringing. It became an embarrassment for the agent instead of a win. After that, nobody in the agency ever rang the bell without a check in hand. 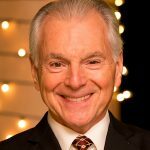 Jim Cathcart is a long-time contributor to Selling Power and one of the world’s leading professional speakers. He is the original author of Relationship Selling plus 18 other books. Cathcart.com helps organizations increase sales engagement and self-motivation. Contact him at info@cathcart.com. Why exactly do sales teams need CI? If you think of all the steps involved in your sales cycle – demand generation, lead qualification, meetings, deal life cycle – you’re probably capturing key metrics at each stage in order to optimize the activities in that stage. For example, you probably closely follow things like MQL-to-SQL or opportunity conversion rates, sales cycle time, and forecast accuracy to drive improvements through all those stages. But sales reps spend more than a third of their time in direct selling activities with customers and prospects. At a time when around 57 percent of reps missed their quota, can we really afford to not know what they are conveying to customers? Without automatically collecting and analyzing conversation data, you are depending on your managers to be on every call a rep does. And that’s never going to happen. 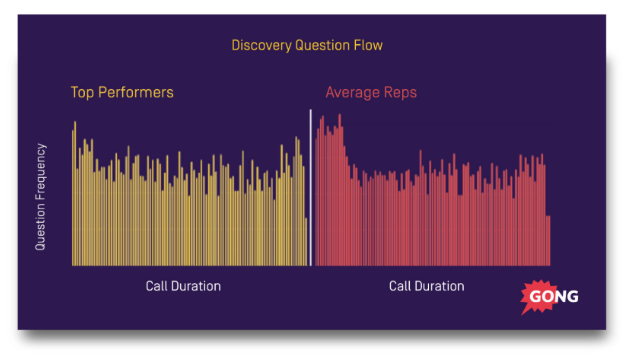 The Chorus Science team has put together some sample insights from the millions of calls we’ve recorded, transcribed, and analyzed using the Chorus AI-based platform. Insight #1: Increase the number of qualified conversations your sales reps have with prospects. One of the major areas of improvement is the number of qualified conversations your reps actually have each week. Often reps complain, “I do not have enough meetings” or, “Most of my prospects do not show up.” CI data easily helps you capture no-shows and measure the amount of time your team wasted on waiting on these meetings. 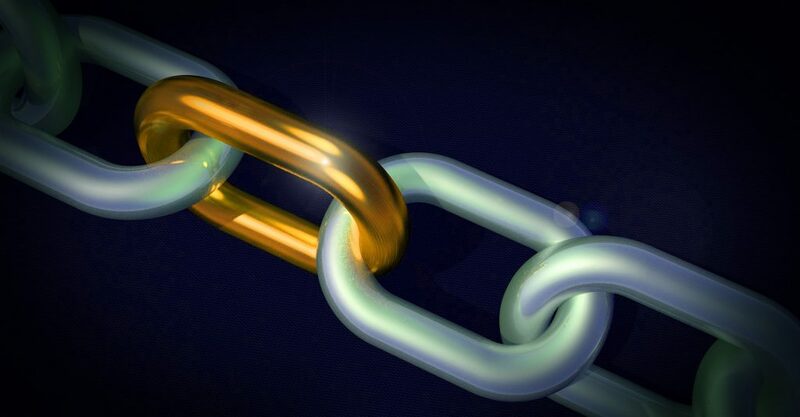 This can help tighten up your lead qualification process and improve rep productivity. 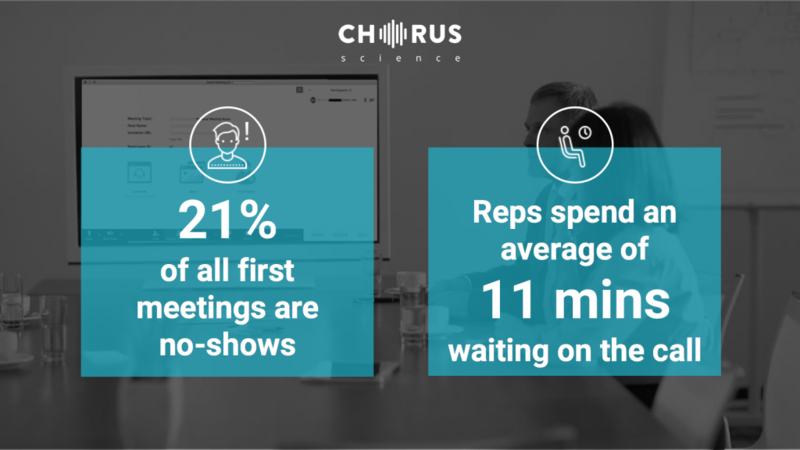 Data from Chorus Science shows about 21 percent of all first meetings are no-shows and the rep spends an average of 11 minutes waiting on the call. If we add 10 minutes for meeting preparation and time sunk before next available slot, we easily reach 30 minutes of wasted time per no-show. Assuming a rep has 40 weekly meetings, this would amount to between two and six hours a week entirely wasted on no-shows. If you can identify how much time your team is wasting, you can go about reducing it. Insight #2: Get your sales reps to ask between two and five engaging questions on initial sales calls. 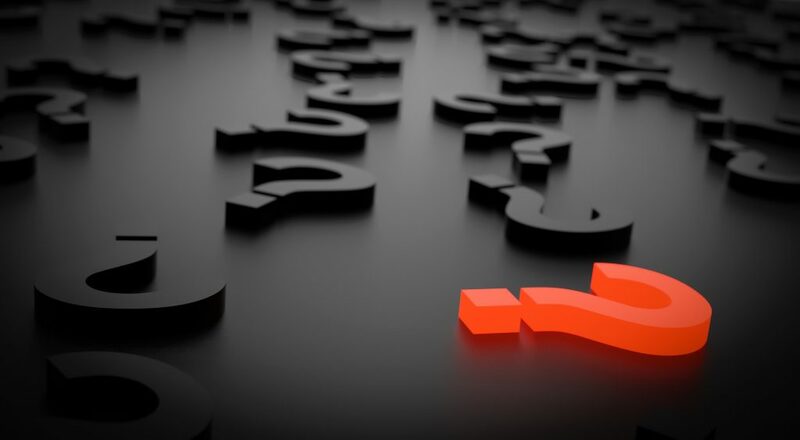 It is not just about how many questions a rep asks – in fact, Chorus Science data suggests no verifiable pattern in the number of questions a rep should ask in order to win more deals. As always, quality trumps quantity. So how many engaging questions do your reps ask prospects? 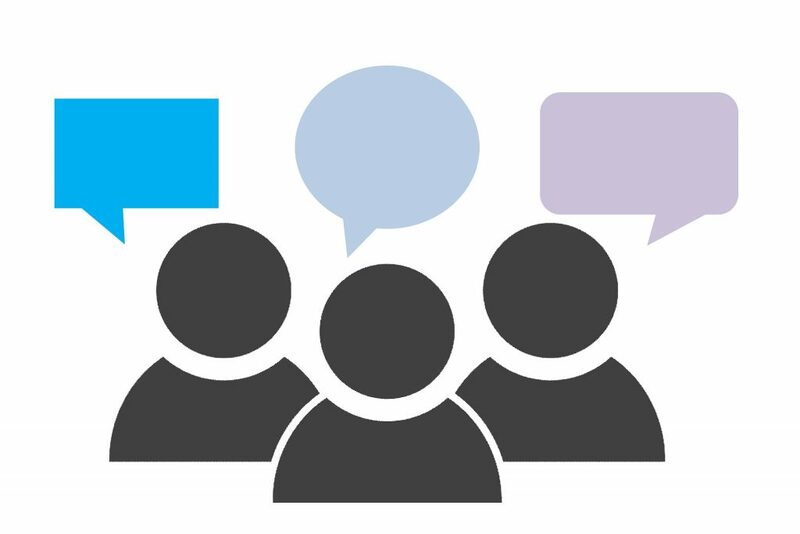 Engaging questions are open ended and framed so prospects are encouraged to talk for an extended period of time compared to questions that only have a yes/no answer. 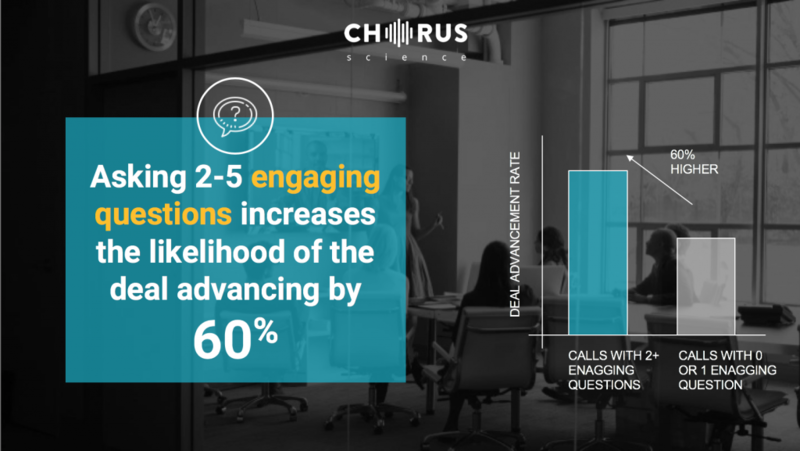 Our data shows calls with two to five engaging questions are 60 percent more likely to advance. What do your top performers do during sales calls that contribute to their high win rates? How do you currently ramp up new hires? How would you evaluate a solution like ours? What else is on your priority list for 2018? Insight #3: Help your sales reps understand how to handle competitive threats during sales calls. Many, if not all of us, are always up against one or more competitors in the sales cycle. But in how many instances do we really think a deal is competitive? We looked at more than 10,000 calls that were longer than 10 minutes and had names of competitors pop up more than once during the call. However, only 8.5 percent of the CRM records for those deals had competitive information in them. 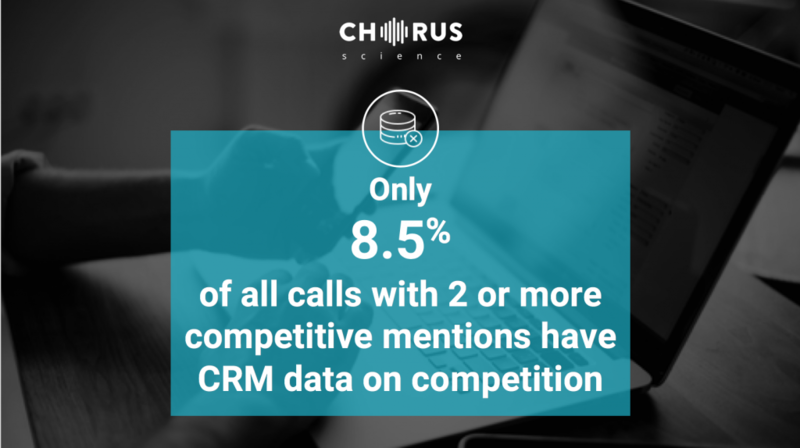 Which means your CRM could be under-reporting the competitive nature of your calls by about 10x. This is akin to flying blind if you use the CRM information to build the competitive risk in your forecasting model. Chorus Science also gave us some insights into when best to bring up the name of the competitor and how to bring it up. Roy will be covering some of this in his keynote. Insight #4: Get sales reps on a single call with multiple stakeholders. In 2017, HBR reported that “the number of people involved in B2B solutions purchases has climbed from an average of 5.4 two years ago to 6.8 today.” So, do you try to do one-to-ones with as many people as you can? Or should you get more people on the same call? 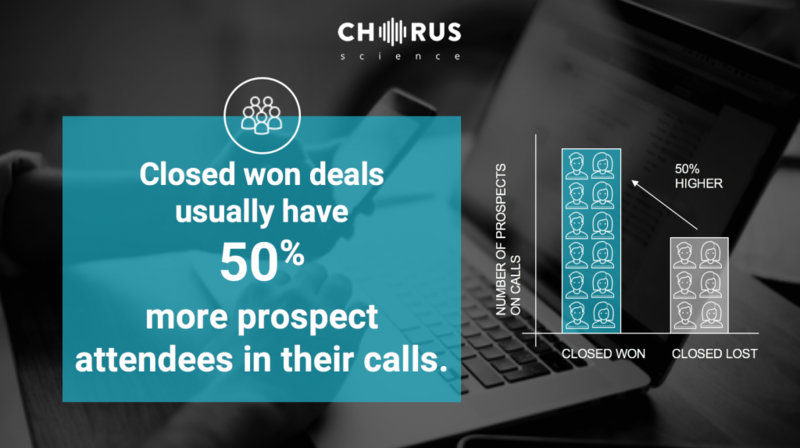 Chorus Science insights from across 18,000 opportunities showed that won deals have an average of 50 percent more prospects on calls as compared to lost deals. The inability to get every stakeholder onto the calls can be a limiting factor in your deals. Do you know how many people you have on calls and how many of your critical deals still rely on one person on the call with your rep? 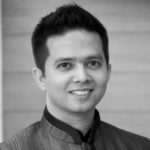 Parth Mukherjee is the head of product marketing at Chorus.ai, the conversation intelligence platform used by the fastest growing B2B businesses. 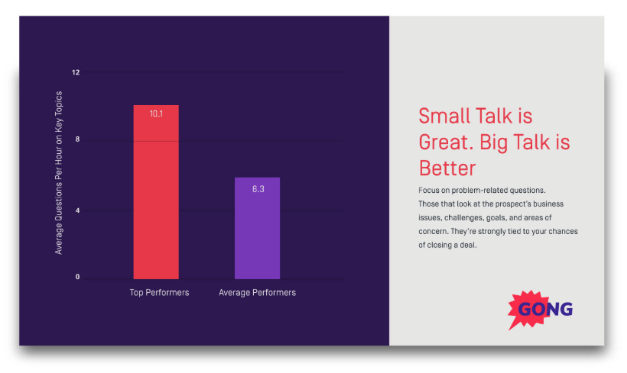 Chorus.ai is a conversation intelligence platform that records, transcribes, and analyzes business conversations in real time to coach reps on how to become top performers. Come meet Chorus at the Sales 3.0 Conference in Las Vegas on October 25-26. At any given company, roughly 20 percent of customers are the source of 80 percent of the company’s profits. That means losing even one account from the 20 percent can really hurt. And what if you want to recruit new customers to make up for the ones you’ve lost? Bringing on new customers actually costs companies five times more than simply retaining existing customers. We all know customer retention is important. We also know most companies are not doing a great job of it. Losing customers out the back door faster than you can bring new ones in the front doesn’t do anyone any good. We need to retain our customers and, to do that today, it’s more than just satisfaction. We need to do the work to earn their loyalty. Whose Job Is Customer Loyalty and Retention? Today, most organizations have separated the jobs – having salespeople look for new business while account managers work with existing accounts to grow them. Some companies also have customer support people assist customers. 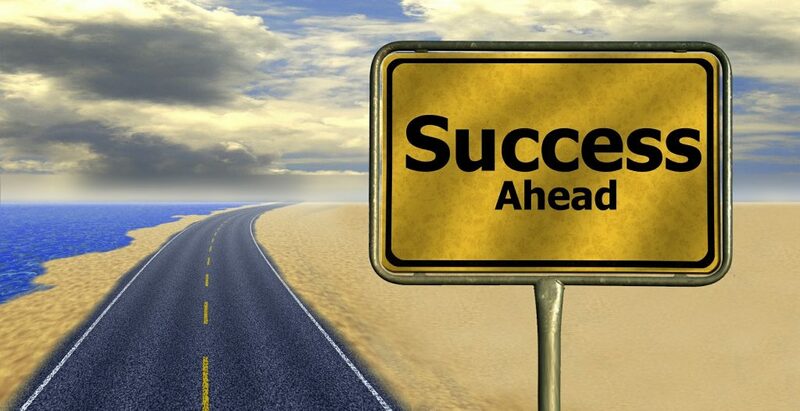 More recently, companies have started to have customer success departments. With all these people concerned about the customers, we should be able to retain them. With this in mind, here are my four fundamentals for keeping your best customers. Assign someone to onboard new customers. Make sure all the people involved in making the decision are thanked properly. Send them an email introducing everyone at your company they need to know and give them the contact information. Maybe even send a video of your team welcoming them. Oversee the implementation or delivery and be proactive – stay in touch through the process. Assist with user adoption and company-wide rollout – and do whatever is needed to make the customer successful. Keep in touch with all the key players and develop relationships with new players. Be proactive in sharing information that will be helpful. Get others in your company involved and building relationships. Love them and don’t leave them. Continue to build relationships with key players. Introduce the others in your organization and help them develop relationships. Add value to your contacts. They are happy to hear from you. Follow them on social media and interact. I love it when people share my posts – and you do too. So will they! Facilitate introductions to position senior executives from your company with theirs. Go on-site with members of your team to meet with their team. Send them a surprise every once in a while – like a great book or a tasty treat. Just don’t do it between Thanksgiving and New Year because it will get buried. Get repeat business and up-sell. Listen for their needs and find out how you can fill them. Plan ahead with them by asking about future needs and what they anticipate. Share videos with product tips and shortcuts. Share information about new products that will be coming out. Watch for trigger events on social media that will inform a conversation you can have with them. Ask them for testimonials. It reminds them how much they love your solution. Turn them into a referral source. Thank them for the referrals at the time they are given. Let them know the result of the referral. Did you win business? Either way, let them know and thank them again. Continue to ask for referrals at a reasonable pace and give them a referral if possible. You can use LinkedIn to identify who they know that you would like to meet. 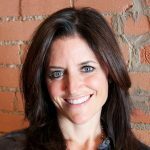 A version of this post, “Customers for Life: The Art of Keeping Your Best Clients,” appeared originally on Alice Heiman’s blog. 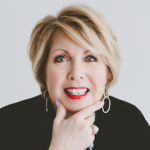 Alice Heiman is founder and CSO at Alice Heiman, LLC. 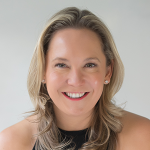 Alice works with business owners to get consistent and sustainable sales growth – and has been helping companies increase sales for over 20 years. 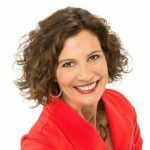 She regularly emcees the Sales 3.0 Conference and is a certified Peak Performance Mindset trainer. The era of augmented intelligence (AI) has been a gift for sales teams. And, if you’re not currently leveraging the vast amounts of data generated every minute from multiple sources and platforms for enhanced customer engagement, you are losing to your competitors: Gartner has predicted that global business value derived from AI will reach $3.9 trillion in 2022. And a study published in MIT Sloan Management Review reveals that 76 percent of early adopters are targeting higher sales growth with machine learning. Early adopters are using AI to complement – not replace – their sales teams. There are many fantastic benefits of running a sales organization enhanced by augmented intelligence, including the following. Benefit #1: More time selling. 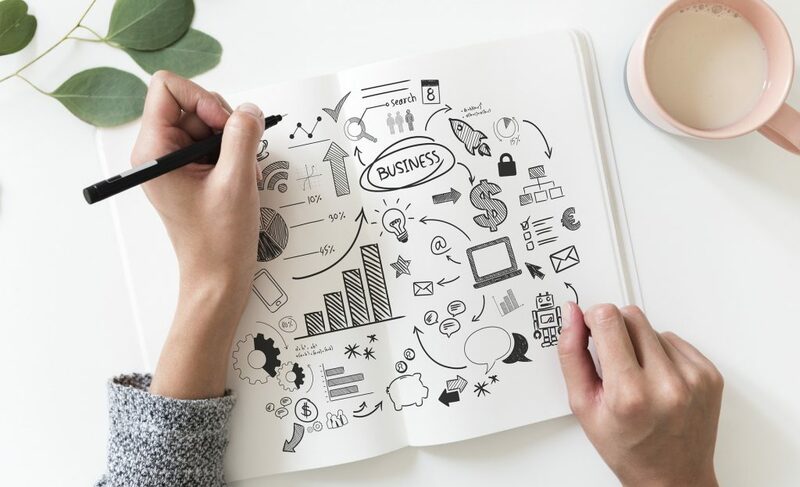 A recent article by McKinsey Global Institute states that 45 percent of time spent on sales-related activities can be cut down using AI. So, sales reps can spend more time selling and closing instead of completing routine, time-consuming jobs. Benefit #2: Creating synergies. A major point of contention between sales and marketing is seamless continuation in customer engagement and lack of lead conversion. With the help of AI, marketing and sales won’t miss on strong leads and opportunities. Benefit #3: Customer loyalty. By having better customer intelligence, sales reps can build long-lasting relationships with customers. Benefit #4: Lower costs. By automating routine tasks and intelligent forecasting, organizations can optimize resource allocation, lower costs, and shorten the sales cycle. Your sales organization directly impacts revenue and profit, and machine learning will help transform a sales organization from being reactive to proactive – and from intuitive to prescriptive. It can guide the sales journey from identification to customer retention. How does this work? Let’s look at the four key areas where AI can make a significant impact for sales teams. First, massive digital and social data on customers provides collective insights that can be used to identify prospects and strong leads. AI can also provide insights for upcoming customer meetings – and schedule them, too. Following up with cold leads can be discouraging and a waste of time for a sales rep, and this process can be customized and automated with AI. Marketing has already seen the success of personalized messaging versus generic. Similarly, conversations between sales reps and prospects will improve if focused on areas that are most likely to be relevant to them. Most sales conversations take place via email or phone. Natural Language Processing (NLP) can guide sales rep conversations based on customer information and honest signals. Over time, machine learning can assess, via feedback loops, what is working and what is not and can accordingly guide the rep further. Machines can also generate training plans based on the activities of other star sales reps. Timely deal offers are key to the success of any deal, and an AI-guided sales rep will have all the information needed to close sales. Based on past sales data, custom pricing can be recommended to help win deals. Machine learning can provide guidance regarding discounts and commissions by analyzing the success of previous discounts that worked. All this information can then be used to generate proposals and contracts (with confidence rating) and systems can initially ask sales rep to review the proposal/contract – which can improve and be automated over time, based on feedback. Machine learning can also recognize the signals of what a converted lead or opportunity looks like and flag it for the sales to focus on them and not spend time spent on deals that would likely never convert. Depending on the industry, the cost of acquiring a customer can be 5-25 percent higher than retaining them – and increasing competition will further increase the cost. Identifying signals from customers before they churn – and taking proactive steps to retain them – will increase the lifetime value of customers. Machine learning can help sales operations improve in the following ways. Sales training – Machine learning can guide managers with sales coaching, a key to building strong teams. At the same time, AI can generate a personalized training plan by analyzing all the actions taken by sales reps (such as written and phone communication follow-ups) and compare them with the processes followed by star performers. It can then provide guidance on corrective measures. Sales reporting – Sales managers can view team performance (such as deals missed or quota met) in real time and take prescriptive actions to keep reps on track. Sales forecasting – AI can forecast revenue at a macro level for sales managers by providing insights into sales trends, segmented by sales organizations, sales reps, etc. This can help optimize resource allocation to build healthy pipeline, analyze team performance, and be cost-effective. 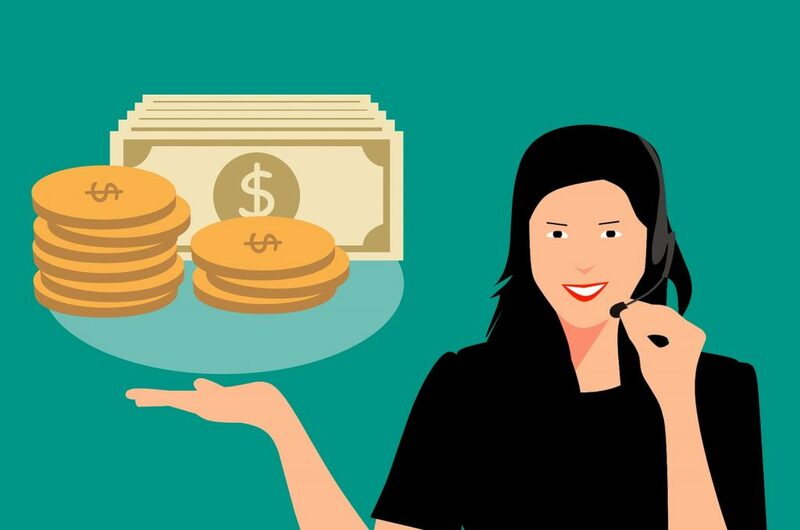 AI can’t replace the value of human interaction when it comes to building relationships with customers, but it can make them smarter and more productive through guided selling and automating the operational job, allowing sales reps to focus on their primary job: delivering value to customers and building loyalty that leads to organic revenue growth. 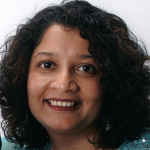 Swati Sinha is a senior director of global solution marketing at SAP for Sales Cloud. A seasoned enterprise software professional with varied experience in product marketing, product management, and engineering, she has worked with organizations both large and small. She is a technologist at heart and empathetic by nature, which gives her the ability to understand customer needs and tell a story about how technology can solve their business problem. She has an MBA and a master’s degree in computer applications. In her free time she likes to connect with her community and support charities. To move any deal through the sales process, you first need to have an effective sales discovery call, during which you uncover your prospect’s pain points. Uncovering pain points right off the bat allows you to immediately set up you and your potential customer for success. So, how do you get started? 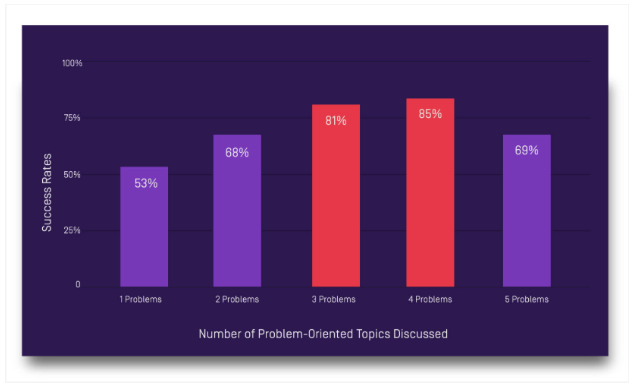 The data team at Gong.io recently analyzed 519,291 sales conversations to discover what makes for a great discovery call, and how top reps determine whether or not the buyer on the other end is a good fit. These sales calls were recorded, transcribed from speech to text, and analyzed with AI. Check out the following tips, backed by this proprietary data. Tip #1: Start with pre-strategizing and role-playing. Think about your favorite sports team. Without practicing, they will have no means of improving or preparing in the right way. The best teams in the world have coaches, and they practice and train every day. Why should sales be any different? Before your sales discovery call, work with your own coach (aka your manager) and run through all the questions you aim to ask. You can then practice responses you are likely to give based on assumed objections. Next, discuss the outcomes you desire for the call, and what information you hope to gain from the conversation. This is just like doing your stretches in the warm-up to the main event, which is the equivalent to getting on the phone. Tip #2: Know how many problems to address. As we mentioned above, the problems you address are the core of your sales discovery call. You’ll want to dive deeply into 3-4 customer problems, then wrap up with next steps. Tip #3: Ask the right number of questions during the sales process. When you’re unpacking those problems with the prospect, ask around 11-14 questions total. If you ask more questions than that, you’ll see a diminishing rate of return. Ask fewer than that, however, and you won’t go deep enough to uncover useful information. The types of questions you ask matter. Start with problem-related questions. Those look at the prospect’s business issues, challenges, goals, and areas of concern. They’re strongly tied to your chances of closing a deal. Tip #4: Don’t just ask questions – talk about problems, too. Remember: You don’t want to bombard your prospect with endless questions. 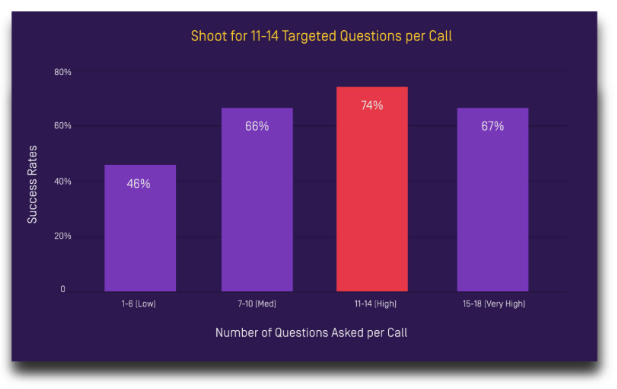 You should aim to create a natural ebb and flow with the right number of targeted questions. Top performers intersperse their questions naturally throughout the conversation. Meanwhile, their average-performing peers load questions at the beginning of the conversation. Frontloading questions makes you sound like you’re going through a checklist. And it feels like an interrogation rather than a natural conversation. Be sure to listen and ask genuine and relevant questions while creating a two-way conversation – not an interrogation. Tip #5: Know your prospect’s personal goals. Once you have the background information on your prospect, the next part of the discovery call is learning about your buyer’s goals. Identify which personas are part of the buying committee, and know the ins and outs of their individual goals. For instance, if you’re selling to marketing leaders, most are concerned about MQLs – not items directly tied to revenue metrics. In this case, you can influence that decision maker in the buying process by showcasing how your solution relates to them (e.g. helps them generate high-quality leads). During this part of the discovery, you should also be on the lookout for short-term versus long-term goals. Are they trying to reach their goals this quarter, or this year? From there, you can ensure your solution fits their needs in a timely manner. 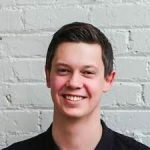 Chris Orlob is senior director of product marketing at Gong.io., the number one conversation intelligence platform for B2B sales teams. Gong helps you convert more of your pipeline into revenue by shining the light on your sales conversations. It records, transcribes, and analyzes every sales call so you can drive sales effectiveness, figure out what’s working and what’s not, and ramp new hires faster. Join Gong at the Sales 3.0 Conference in Las Vegas on October 25-26. It’s always there, isn’t it? That little monologue in your head plays all day, every day. Like an eternal recording, it plays and plays as you run through your day – commenting on this, musing on that. For many, though, an awful lot of those thoughts tend to be slanted toward self-criticism, worry, or fear. Like a hungry grub munching down at the root of your mind, those negative thoughts tend to erode your happiness, increase your stress, and maybe even cost you the sale. 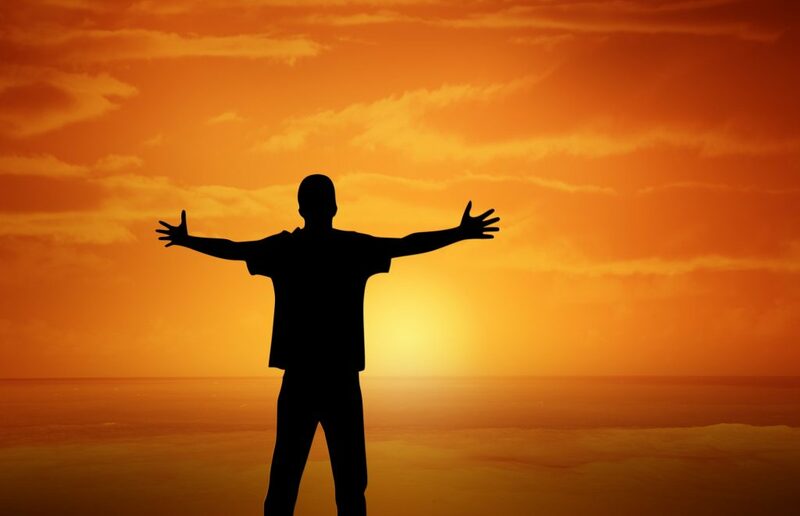 Inspirational quotes aside, science seems to bear out the fact that happiness and a positive mental attitude and self-talk really do increase your chances of sales success. Studies have shown that self-talk can literally improve or hamper your performance. In one study, tennis players using motivational self-talk dramatically improved their performance, while the control group who did not use self-talk did not. This same type of study has been done with cyclists, competitive swimmers, and other professional athletes. A recent Stanford study went even deeper, using an fMRI (functional magnetic resonance) machine to track how attitude and outlook affect elementary age students’ abilities to solve problems. They discovered, among other things, that, when a student was feeling good and had a positive outlook, they performed better. Moreover, children who felt more positive showed significantly more activity in the area of the brain linked to learning and memory than those who were less positive. This might not seem surprising, but it does give credence to the fact that your mindset and outlook may be just as important as IQ. What happens in your head happens in your body. If your thoughts run to the negative, your body will become more stressed. Any inner dialogue you have with yourself inevitably affects not only how you feel, but how you act. From body language to facial expressions, how you feel impacts how you perform. Like rabbits running on familiar ground, your thoughts like to haunt familiar, well-trodden mental paths. Habitual thinking can easily slip into negative patterns if you let it. Negative self-talk can range from anger and frustration to telling yourself that you are not good enough. When, for example, you tell yourself over and over that you are a failure, you become more likely to create that reality. Your inner critic can leave you feeling depressed and stressed – and even make you physically sick (negative self-talk has been linked to a lowered immune system). To stop its rampage, call it on the carpet. When you hear your inner Negative Nelly sounding off, start talking back. Simply confronting it can immediately improve your mindset and help you achieve sales success. Try shifting your perspective and even speak out loud to yourself, if necessary. Maybe you can’t stop your thought train, but you can shift it to another track. In doing so, you not only become happier, but you might find yourself selling more than ever. 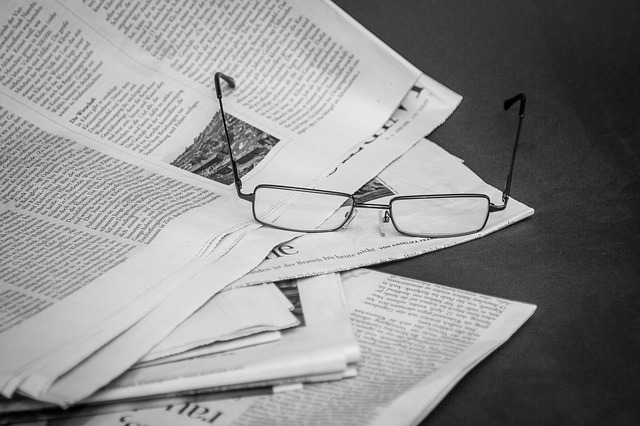 Why Are There So Many Articles about Selling? Like you, I subscribe to a number of magazines and resources that specialize in sales, marketing, and business success strategies. What astounds me about them is how there is an endless flow of articles on selling. You’d think the first 100 or so would pretty much cover the ground and the rest would be redundant. But that assumes that all selling is fundamentally the same. Not true. Yes, all selling involves connecting with people in a way that causes them to buy from you but, after that, there are endless variables. Online sales to consumers is vastly different from boardroom sales to executive teams. Selling through proposals and tenders is not even similar to direct multilevel sales. Retail store sales and in-home contractor sales are very different. Selling at expos requires a mindset different from selling people on having cosmetic surgery. Need I go on? This diversity of selling situations, products and services, rules, laws, customs, and restrictions means you can never fully understand all aspects of this wonderful craft. But that doesn’t mean you should stop trying. What’s Consistent in the Profession of Selling? You may be selling cars through online ordering systems but you can still learn techniques or ideas from hoteliers in Las Vegas who are selling room upgrades and vacation packages. The guy who sold you the white-water rafting trip could probably teach you something that would help you sell parts to airplane manufacturers. It’s all human interaction, problem finding, needs analysis, solution finding, collaboration, decision making, negotiation, and confirming commitments. A mind that is always learning is more capable than one that is simply well informed. I once marveled at how many firms were offering sales training and how different some of their processes were from mine. Then it occurred to me that “Selling” is the “family name” of all of them. Among Cathcarts, I’m Jim. My cousins are Bruce and Judy. My father is Earl. But we are all Cathcarts. Among sales techniques, mine is “Relationship Selling™,” Tony Alessandra’s is “Platinum Rule® Selling,” Don Hutson’s is “Selling Value™,” but they are all Selling – first and foremost. What separates them is the style or areas of emphasis. I’ve been teaching sales for 40 years now and have authored 18 books, but I still read every page of Selling Power magazine each month and I scour the other publications, Websites, podcasts, and blogs for insights and inspiration. I go to conventions and collaborate with my competitors (who are also my colleagues). We share our books with each other and often recommend each other to our own clients. I hope you do the same. 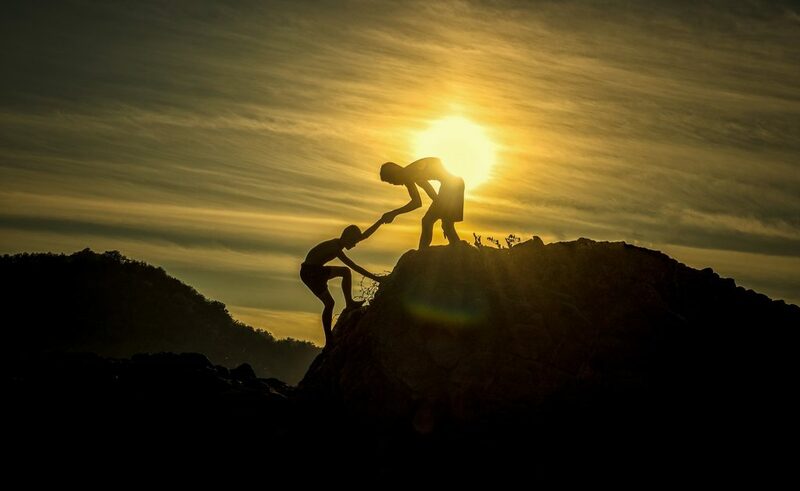 The more you help others succeed, the greater the pool of buyers there will be for all of you. Keep the flow of different points of view flowing freely into your mind. Each idea will find the appropriate “file” of understanding that fits it – and your sales capacity will increase endlessly. Jim Cathcart is a long-time contributor to Selling Power and one of the world’s leading professional speakers. He is the original author of Relationship Selling plus 17 other books. Cathcart.com helps organizations increase sales engagement and self-motivation. Contact Jim at info@cathcart.com.